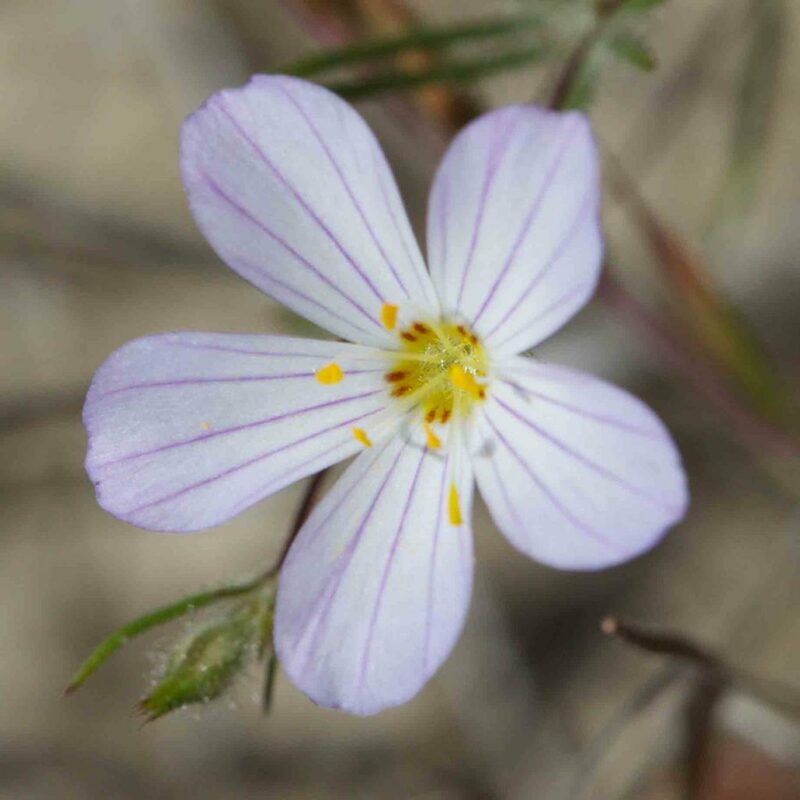 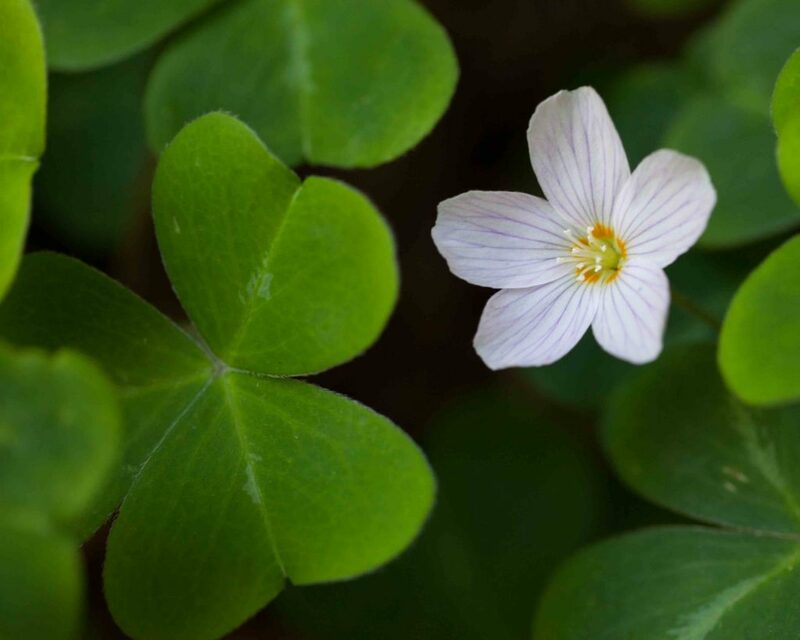 One of the few native Oxalis in Monterey County, this can carpet the ground in redwood forests. 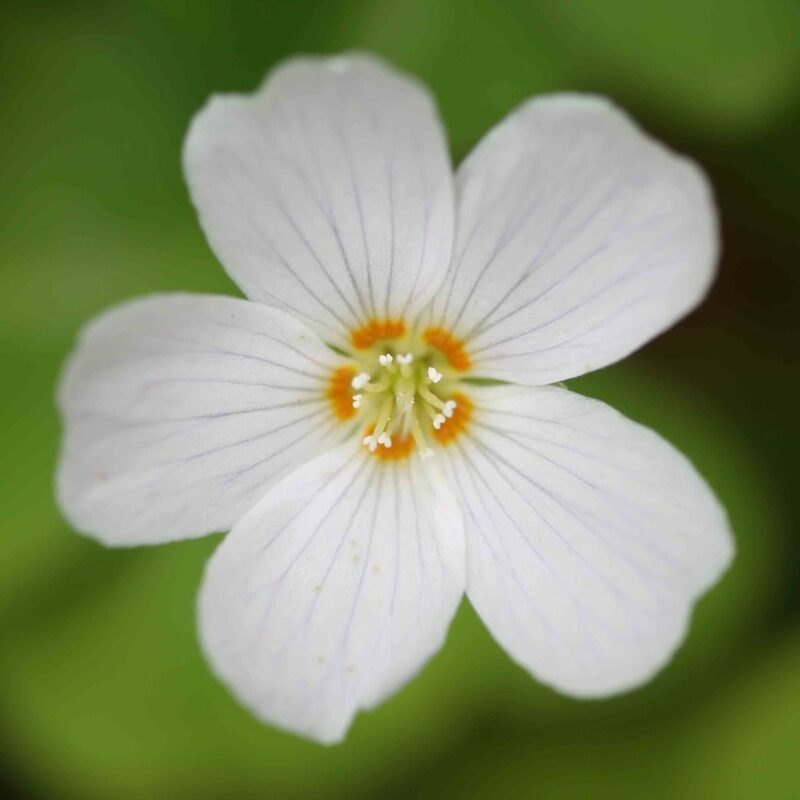 Flowers range from white to pale pink, often but not always with an orange band at the base of the petals. 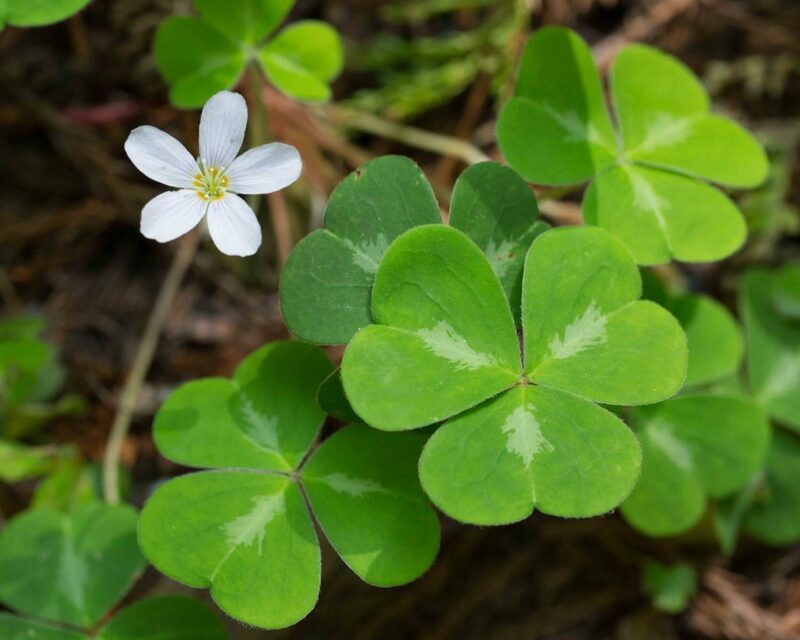 The 3-lobed, heart shaped leaves are a little larger than those of the Wood-sorrels although sharing the same characteristic shape. 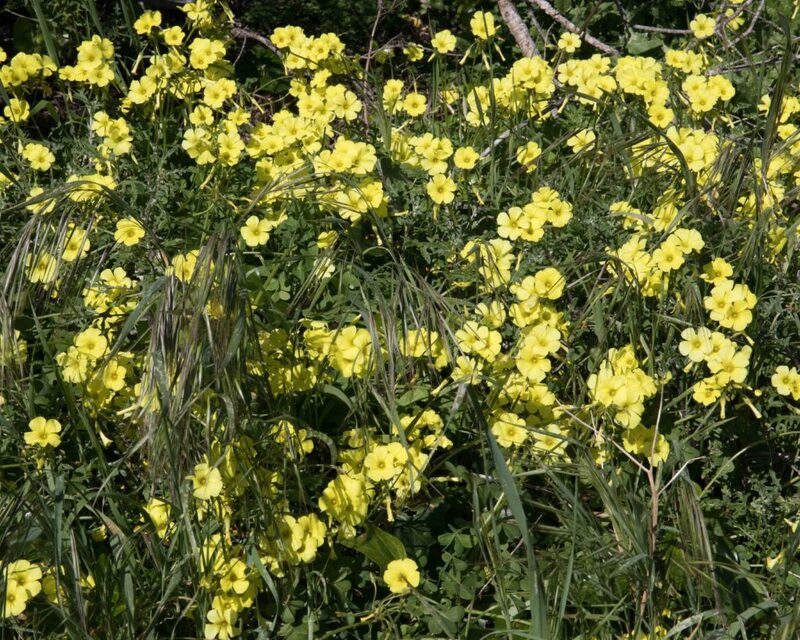 Although invasive, this has attractive bright yellow flowers that appear in profusion in late winter to early spring. 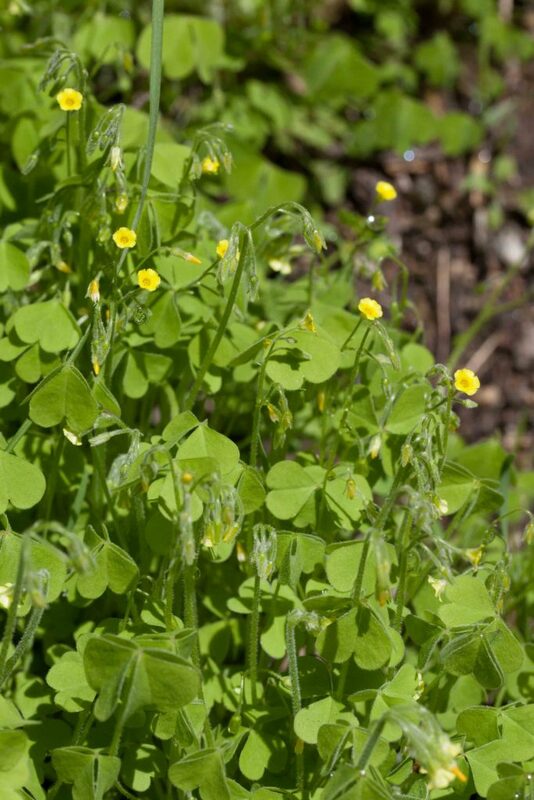 The plant spreads by underground bulblets which makes it extremely hard to eradicate. 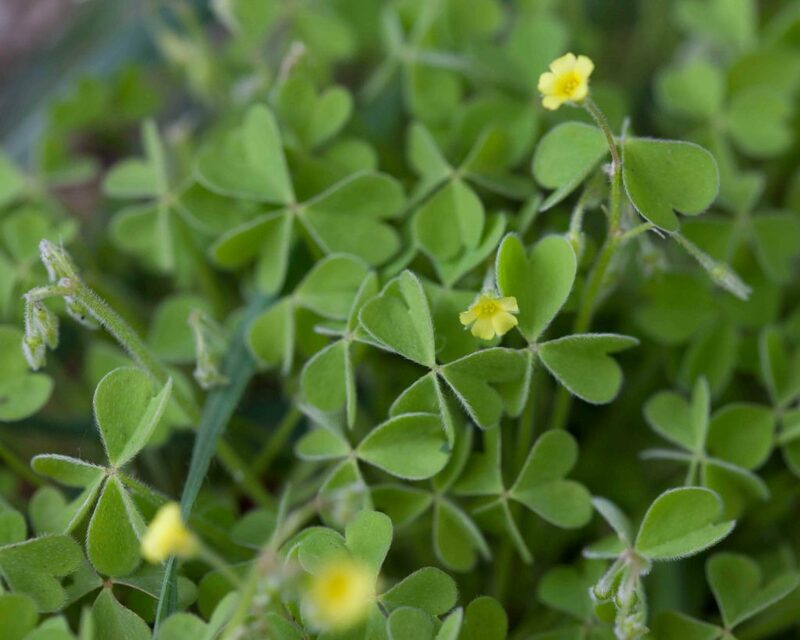 The origin of the common name is obscure – the plant neither is nor looks like a buttercup nor does it come from Bermuda. 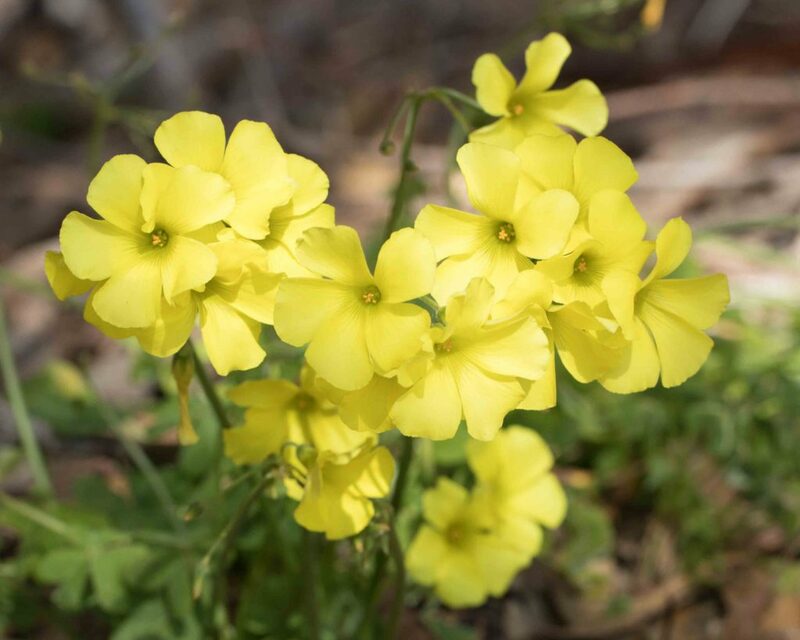 This has bright yellow flowers like the other wood-sorrels, but a little larger (1.5 cm across) and usually with 2 red dots at the base of each petal. 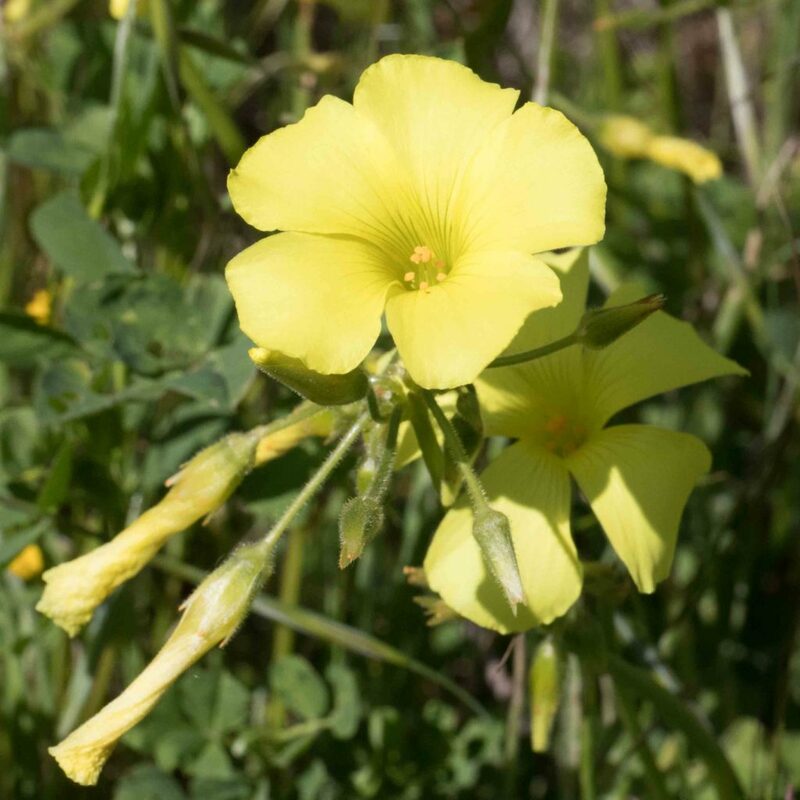 There are 2–7 flowers on short (< 2 cm) pedicels. 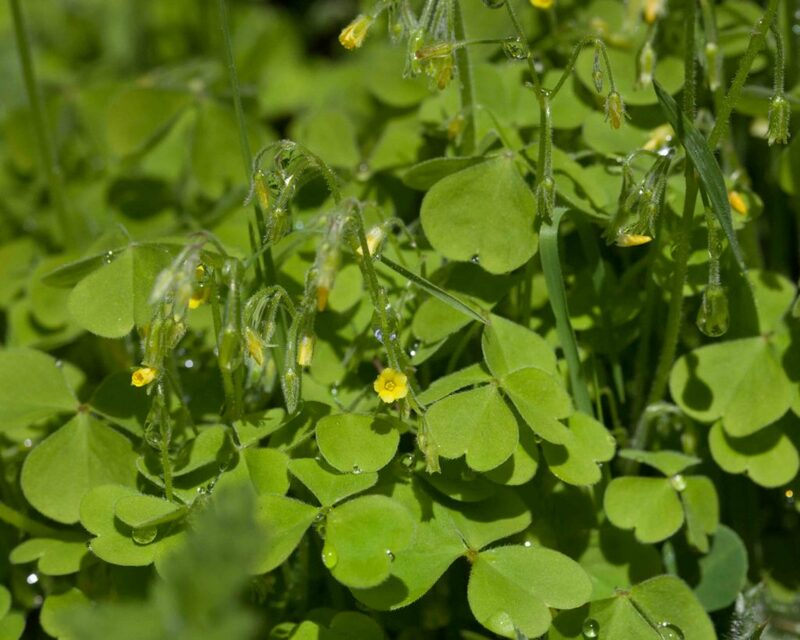 Leaves are glabrous above but with hairs on the margins. 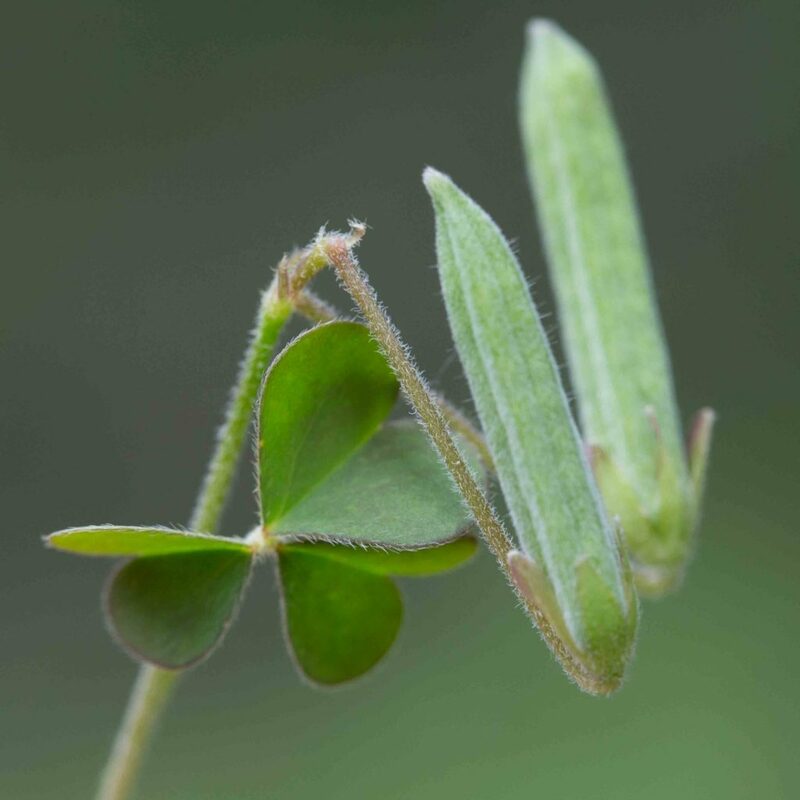 Leaflets are sometimes open, sometimes half-closed. 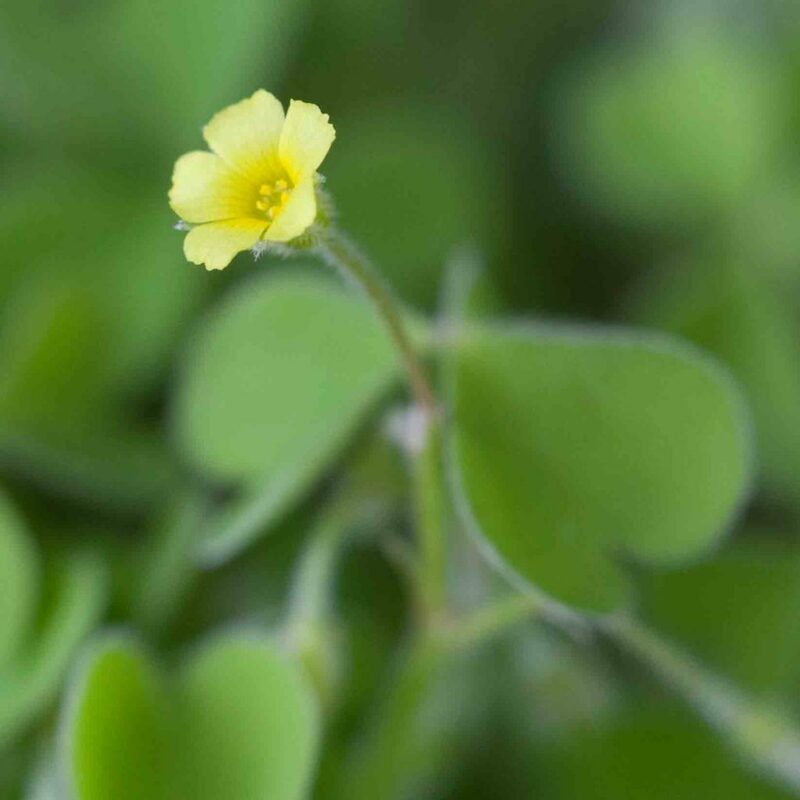 Like Hairy Wood-sorrel (Oxalis pilosa), this has small, bright yellow flowers (just over 1 cm across). 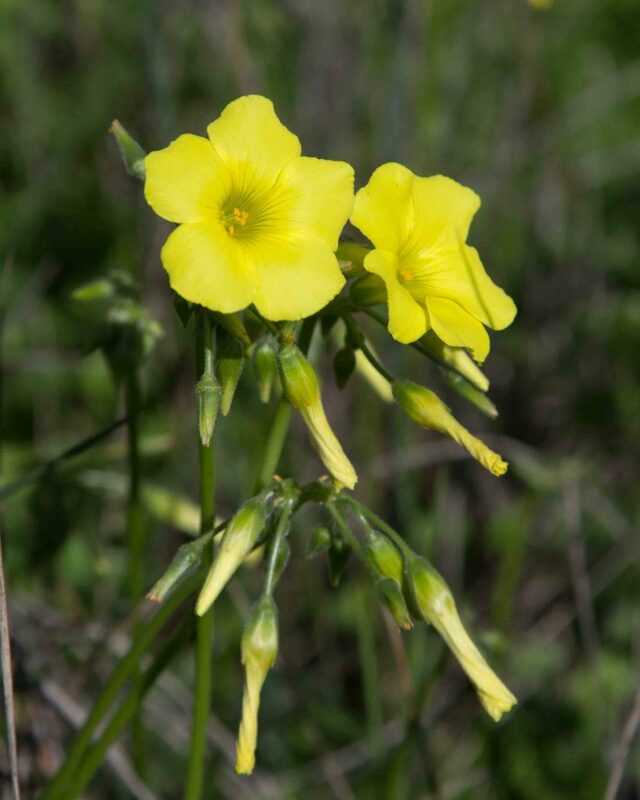 It can be distinguished by its long peduncles (up to 15 cm), each bearing 6–14 flowers. 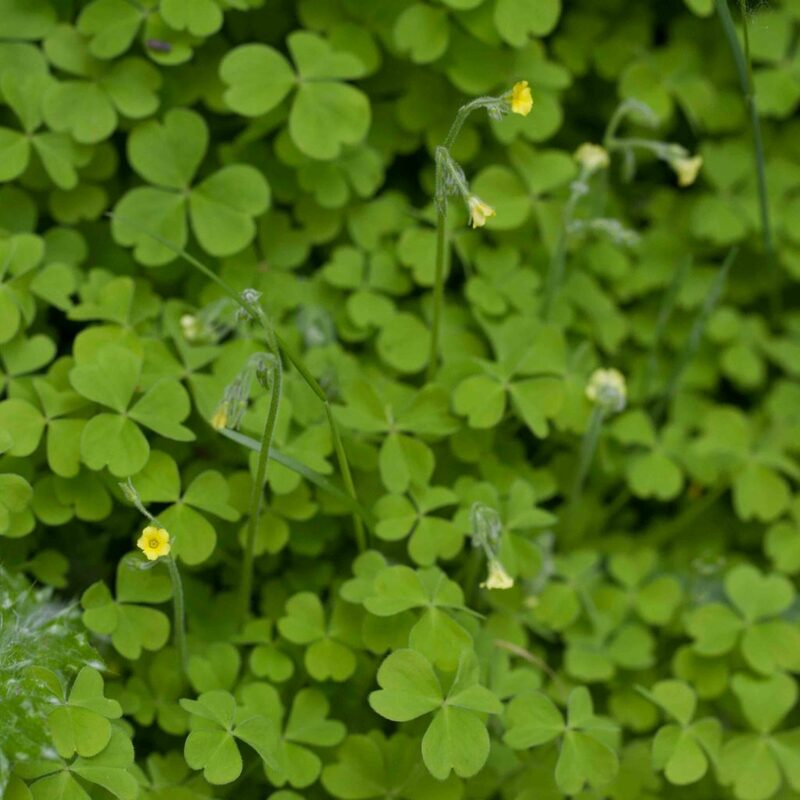 Leaflets are sparsely hairy. 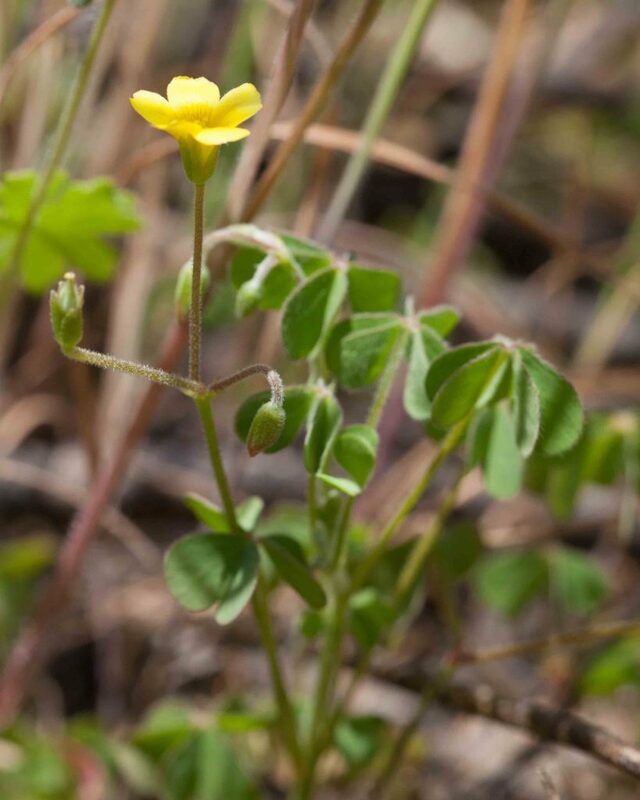 Its fruits are short (< 5 mm), ovoid to spheric in shape. 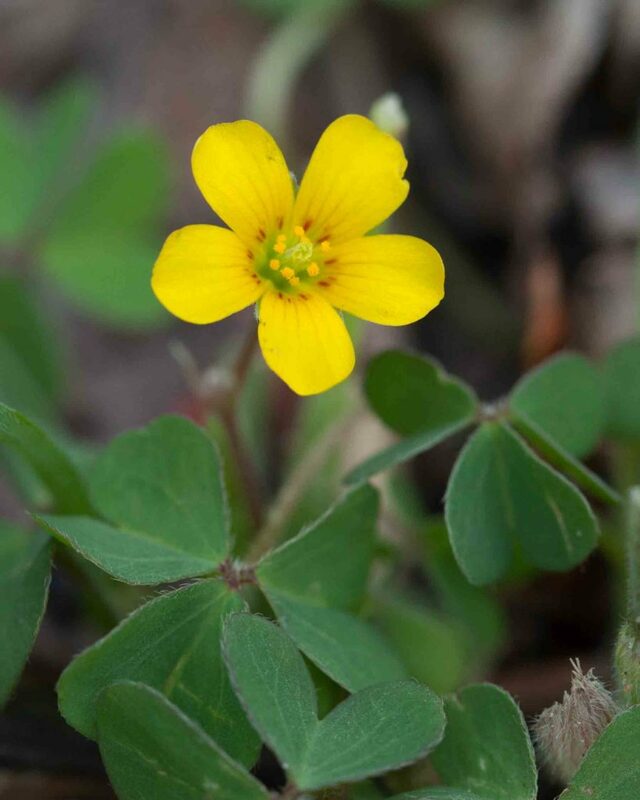 Like Dwarf Wood-sorrel (Oxalis micrantha), this has small, bright yellow flowers (just over 1 cm across). 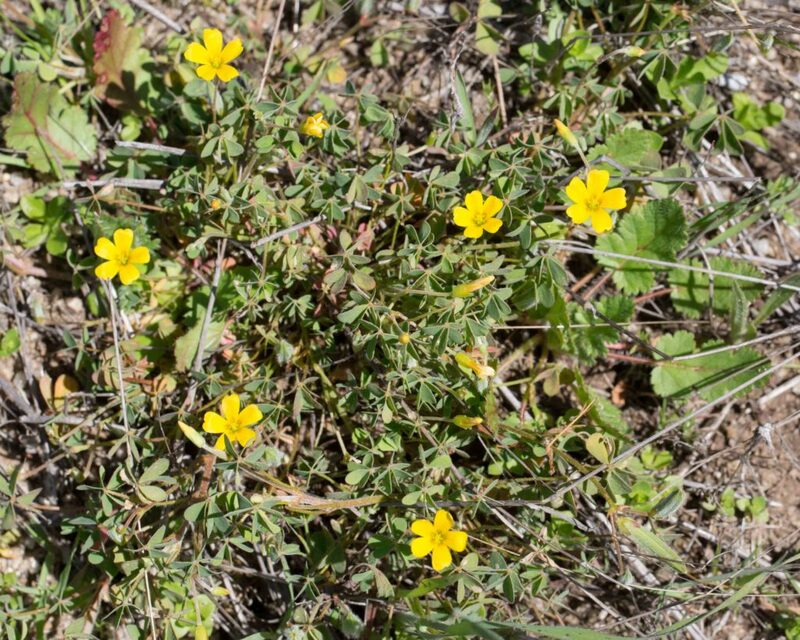 It can be distinguished by its shorter peduncles (< 2 cm), each bearing 1–3 flowers. 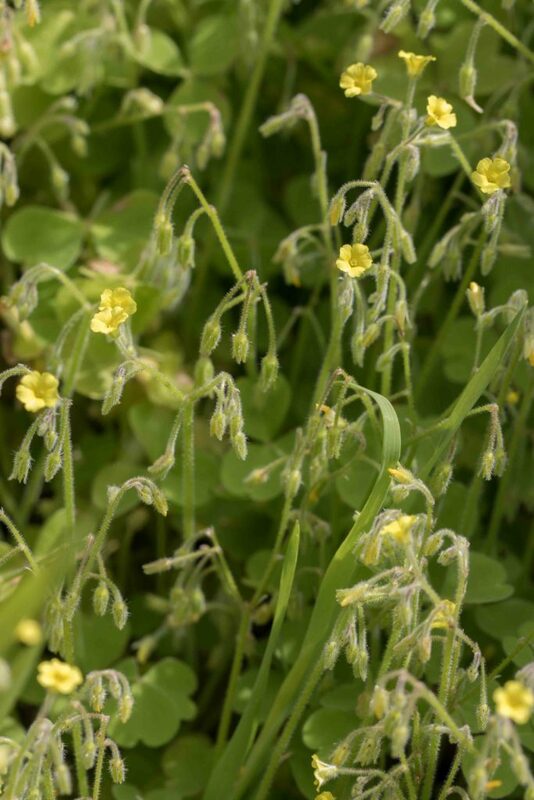 Leaflets are densely hairy. 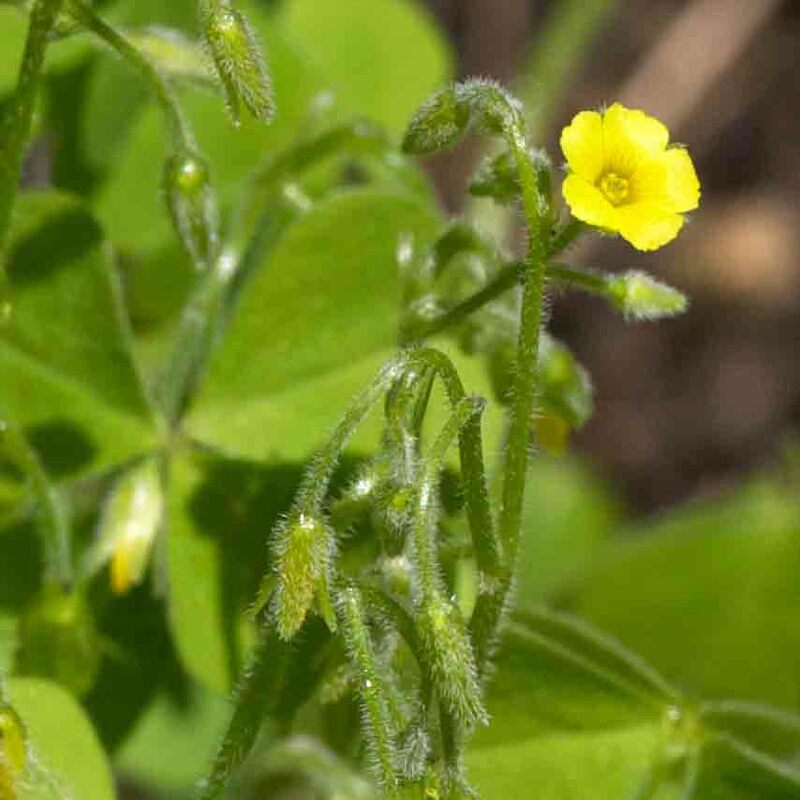 Its fruits are much longer (12–18 mm), more or less cylindric in shape.